The musical style of Florentine Mulsant (born in 1962) is part of a search of creative freedom which combines, beyond any dogma, some influences coming from neo-serialism, a large place given to the melodic line and a real taste for the harmonic color, which join the lineage of the XXth century musical French School, from Claude Debussy to Henri Dutilleux. 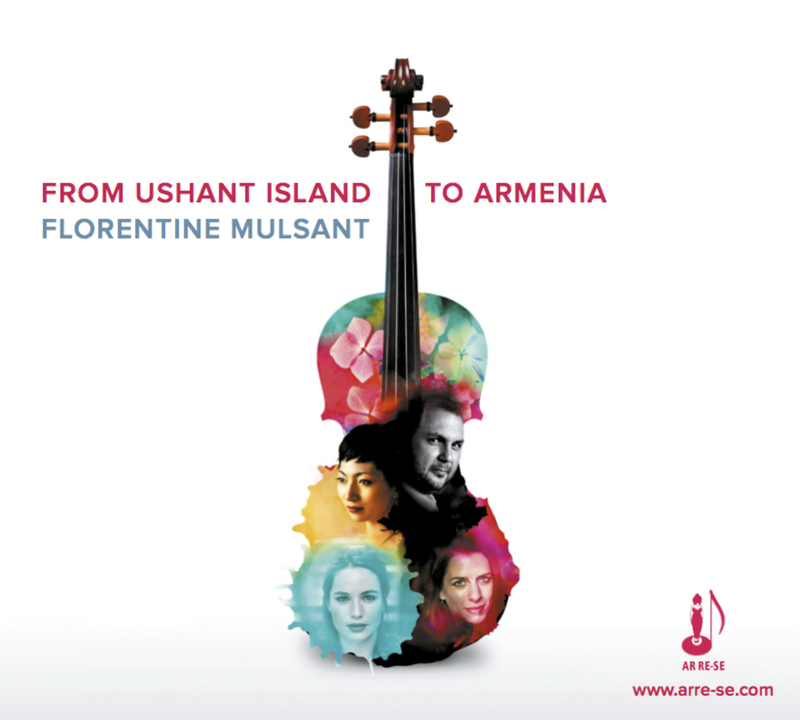 The present CD, D’Ouessant à Erevan (From Ouessant to Erevan), which is the result of a concert given during the Festival Musiciennes à Ouessant in 2016 and of a recording of the Suite for string orchestra op. 42 realized in Armenia, shows the composer’s large expressive and creative palette. The Variations for flute and piano op. 11 (1995) employ clearly the virtuosity of the musicians, with a constant interest of intervallic coherence, in a musical airy texture which does not deny either the lightness or an underlying depth of the subject. The Vocalise for alto solo op. 53 (2014) is written in three linked sections which combines technical virtuosity, lyricism, intensity and perfect knowledge of the expressive possibilities of the instrument. Composed for a rare instrumental staff (clarinet, violin, cello and piano), the "In Jubilo" Quartet op. 22 (1999, revised in 2002) proposes, during his three sections, some amazing sound meetings, which take us form the most brilliant joy to a mysterious and dreamy atmosphere. In the Suite for solo cello op. 41 (2012) are perceptible the influences of Johann Sebastian Bach and Benjamin Britten. The work is marked by an intense emotion, because the main motive is built on the notes D – A – C – F, corresponding to the first name PAUL, son of the composer, who died in 2011, and whose luminous presence shines during the five sections of the work. The Suite for string orchestra op. 42 (2012) is written in a lighting atmosphere and exposes, during his five contrasting movements, a large expressive and full of colors palette, always supported by a real cohesion of the thematic and intervallic material.